In the tech tree for doubloons is kind of a switch, As always Miss Mouse fine work. I enjoyed Nurnburg; moreso ever since she got the HE 1/4 buff, so I'm definitely getting Makarov. Nurn will probably stay as an anti-DD oriented cruiser, whereas Makarov will likely be shifted over to a more general support role. I do love playing both aggressively though; so I don't mind risking being detonated prematurely. Thanks Mouse, fine work as always! Nice (and fun) review, altough not much of a surprise, in the end "its a Nurnberg". I will give Makarov a pass, i totally hated Nurnberg. So in a race to the bottom of the ocean between this ship and Huanghe, who wins? Both seem to be CLs made out of gunpowder, cardboard, and spiderwebs. Another very fine effort Mouse, Tyvm. I can already see that I’m not good enough to play the ship. Floating Cit. If I want to post an image from a site like tinypic, should I use the URL as I have here? I see overlap. So we have armor less trustworthy than Putin offering you an open drink. Nice. It was 3750 on the tech tree, so I picked it up. Thanks, I was wondering what her price tag was like. Interesting this isnt a garbage boat, considering at T6, you will be up tired a lot. I love my Nurnberg and play it regularly but think I will pass on this one, might as well consider Molotov for something different at T6. Nice job Mouse, and Merry Christmas. Huang Meh at least has Perth Smoke. Nurnberg / Makarov don't have that luxury. This will become especially apparent when Tier VI Ranked returns. Perth is squishy a.f., her gun range inadequate, but she was the best performing Cruiser in last Tier VI Ranked because of that smoke and concealment. The same will hold true for Huang Meh. She, with Perth and Leander have similar characteristics and will not be easy to obliterate like the other Tier VI Crusiers. Outside gimmicky Perth, Leander, Cruisers did terribly. Nurnberg was one of the worst Cruisers in Tier VI Ranked, only La Gal was worse, and Makarov is a derivative of N-Berg. I hated Nurnberg with a passion(was before the HE pen buff) but even still I do not fear these ships and the only way ill end up with one is a Santa crate. And even then ill likely sell it off. One of the few ships I Free XP'd out of because I hated it. 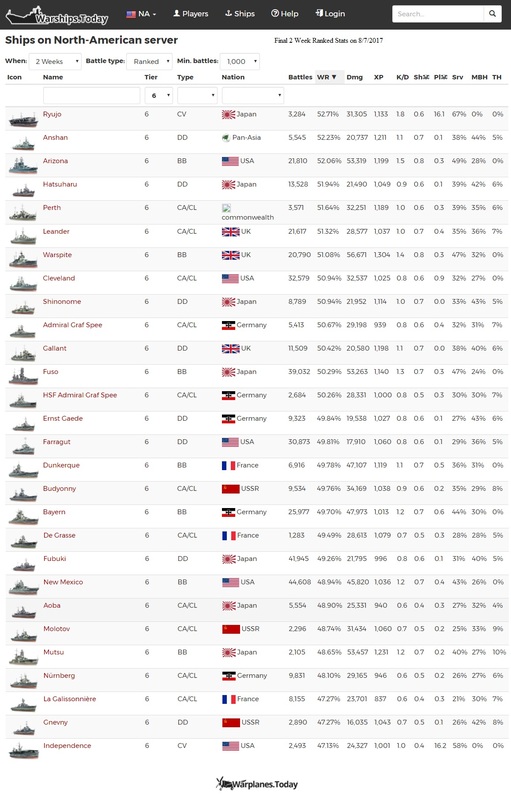 It's because cruisers have low armor, gigantic citadels and no utility at tier 6 which made them a non factor. Which DDs loved. Why DDs loved tier 6 ranked and are absolutely going to scream bloody murder when tier 8 ranked hits. Pretty much. Tier V, Tier VI, it's like that. Tier VII it gets a lot better. But Tier VI Ranked was a BB-DD affair and the weaknesses of Cruisers came shining through. No s--t, being a Cruiser that tier for Ranked was a harrowing time. Fuso, Arizona, Warspite were running wild once the DDs were dealt with. DDs and other BB gunfire were the only things the BBs worried about, it wasn't Cruisers. Cruisers were getting blapped left and right early on. 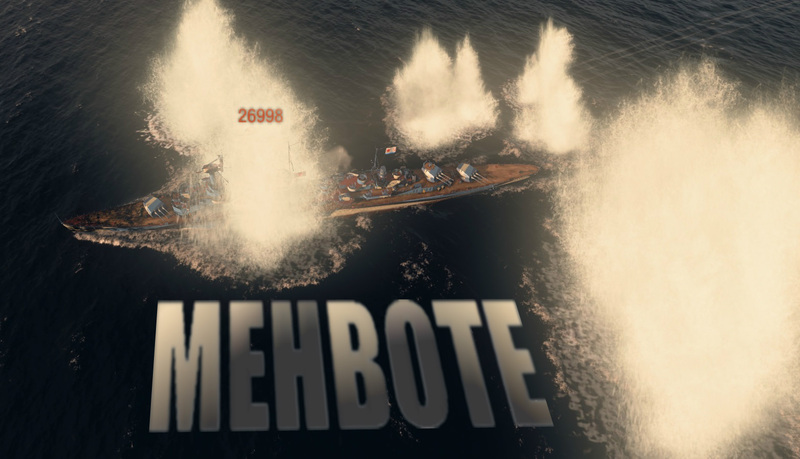 Adm.Makarov will feel the same thing whenever Tier VI Ranked returns. Expected meh, and, meh. Passing on this one. Good work as always, LWM! Nice review. I wouldn't pay money for this thing. This is specifically what makes her a good commander trainer. Say you have a 8, 9 or 10pt Soviet cruiser commander that does not have Inertial Fuse for HE Shells skill yet, but you want to unlock it before playing their new 152mm armed chariot you just unlocked. Use Makarov. Makarov will perform decently without the skill, allowing you to use a commander that would otherwise find training on Mikhail Kutuzov, Murmansk or Molotov an issue. I decided to get the Makarov.....and my first battle she rewarded me with an arsonist. I loved the Nurnberg, and actually got fairly hyped for this ship when I heard she was getting the 1/4 HE pen buff. I can use my 19 point Moskva captain with her, and don't need to worry about not having IFHE. She's a fun little ship and not a bad HE spammer. The Nurnberg/Makarov handles being up tiered very well. It has good range on its guns, good RoF, respectable DPM and firing starting rate. It's very well suited to kiting and burning down BBs. Thus far, she's failed to make any impression on me. That's not a bad thing I guess, not every premium needs to have a gimmick or standout trait. Still, I dare say this ship is almost purely there for collectors. Your expectation? Please, Mouse... Makarov was a real ship & was aligned with the real-life specs. Unless you were expecting an Admiral Hipper-class, ex-Lutzow, named Tallinn, of which was proposed to be completed as Pr. 83, with all 20.3 cm guns replaced with 152mm/57 guns & refit with Soviet postwar AA guns, torps & maybe a radar. While being one of the Soviet's spoils of war, Makarov was designated as a flagship of the Baltic Fleet for a few years before reassigned ad training cruiser. The following is a review of Admiral Makarov, a ship kindly provided to me by Wargaming. This is the release version of the vessel and these stats are current as of December 18th, 2017. Makarov is a great trainer for your Soviet cruiser commanders that don't yet have Inertial Fuse for HE Shells unlocked. She doesn't need it, so stick 'em on here and hoover up the XP needed to finally unlock it. Then go play a good premium cruiser like Molotov or Mikhail Kutuzov. Start with Priority Target and, for the love of toast, listen to what it's telling you. If you see a number 1 appear, stop what you're doing, go evasive and hide. If you see a number 2 or larger, scream loudly and curl up beneath your desk. With luck, your room mate, significant other or your offspring will care enough to unplug your computer before you have to see your shiny premium cruiser get deleted again. Next up, grab Adrenaline Rush. This skill is of less value on Makarov, as you tend to not take damage so much as explode suddenly. Still, in theory it's a raw DPS gain and that's worth the two points. At tier 3, take Demolition Expert. If you fancy yourself a destroyer-hunter, you should grab Vigilance instead, especially with those Pan Asian destroyers lurking about. Finally, at tier 4, take Concealment Expert. If you have to ask why, you haven't been paying attention. From here, pick and choose skills to your heart's content. If you want to be salty about aircraft and fancy trying to provide a small bit of much-needed fleet defense, grab Advanced Fire Training, Basic Fire Training, and finish things off with Expert Marksman. If you would rather hunt destroyers and ensure you never get ambushed, Radio Location, Demolition Expert (because you already took Vigilance) and Expert Marksman is the way to go. Makarov is so damn fragile that even social-justice-warriors tell her that she needs to toughen up and stop being such a victim about incoming fire. This is not an easy ship to do well in. Makarov has a surprising amount of carry potential in her, but only if you can keep her alive. Anytime you have a platform that can deal a lot of damage (and do it quickly) while also being reasonably fast and decently stealthy, it's a recipe for a dangerous ship, especially in the hands of an expert player. However, Makarov's fragility holds her back. She just can't survive under duress. Yes, I know there's some subtle differences, but really, it's just Nurnberg. Did you like Nurnberg? Do you have happy memories of derping about in that ship, even when things went horribly awry? Did you prefer to use Defensive Fire over Hydroacoustic Search when you played her? If you answered 'yes' to all three of these questions, then you'll like Admiral Makarov. I am honestly shocked at how little "Russian bias" crept into this ship. I expected her citadel to be lowered or her to be armed with Soviet 152mm/57 rifles with the same reload time. Seriously, Wargaming, you're not meeting my expectations. I really do enjoy my cruisers -- especially the ones with fun guns and a penchant for suffering gory demises both suddenly and hilariously. Admiral Makarov tickles my fancy in the same way that Atlanta, Duca d'Aosta, and Prinz Eugen do. Let me be clear though -- my enjoyment isn't contingent upon the ship being good. Admiral Makarov certainly isn't that. She's too damn fragile, too damn slow and not sneaky enough to ever earn a recommendation based on her combat prowess. She is a challenge, however, and she greatly rewarded me for out playing my opponents. This panders to my ego. When I did well in Makarov, I know it was down to my correct positioning, target priority and manoeuvres. This ship doesn't offer anything new in terms of game play. She's not good either, though at least she's not objectively worse than Nurnberg. She is fun, however -- but of course this last trait is subjective. Fortunately, you can try out Makarov yourself by simply unlocking and playing the C-Hull Nurnberg without Hydroacoustic Search. If you have fun there, you'll like Makarov. If you're sane, though, you'll stay the Hell away. At least no one's asking you to subscribe to some service package to get access to this ship. I've said it once and I'll say it again: Go play Nurnberg. If you like that ship a lot, enjoy this premium version of her. How well does the ship maintain profitability in Co-Op modes and how does she fare against bots? Yeah, Makarov can do alright here. She's fragile, so don't put her up on the firing line and don't take any early damage. If you do, the bots will focus you quickly and give you a rough time. The bots are very predictable and the frightening amounts of DPM this ship can spit out is a godsend to your team. As always, thanks for the thorough and informative review. The un-asked question is why the h-e-double-hockey-sticks would you buy this thing instead of the Molotov? 180 mm guns straight off the Tier 9 (nine) Donskoi. Penetration? You bet! A B X turret setup. And more difficult to delete than Nurnberg (which ain’t saying much). For training? Molotov with Demo Expert but no IFHE is fine. EDIT: I bought it anyway... It is difficult to play well but it can work. Divisioning up with a CV can be amusing, especially if you have a 19-point Moskva captain handy. However, it is very annoying not to have German cruiser hydro. What, did the Soviets break it? But what if you already have Molotov, Kutuzov, Murmansk and Krasny Krym? It completes the set and at worst, is another first win bonus for some RU captain.